Greetings to all who read this! My name is Kalob Gray, I’m 42 years old, divorced, with 4 beautiful kids!! I began this bid in 2010 and it will end December of 2019. I’ve spent my time taking advantage of many educational programs, including a year of college courses through Urbana University. I’ve completed a janitorial apprenticeship and I’m currently in a career tech program for horticulture. I have lost everything during this bid and I’m walking out of here after almost a decade having to start over! I have many concerns and hope that through this blog I may be fortunate to get some feed back! I have spent the majority of my life trapped in this lifestyle giving it my loyalty! I ruined every relationship I’ve been in do to my selfish ways. I lost my Father in 2005 from cancer and the moment he needed me the most I was sitting in a cell!! I lost out on every single great accomplishment my kids had because of my choices! 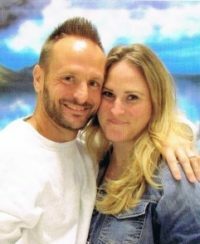 I had a wife that stood by my side through incarcerations, drug use, domestic violence, and being abandoned to raise two kids on her own. I feel better that she divorced me and moved on, but it kills me that after everything we are not atleast civil with each other! I hope that through my actions upon my release I can change the minds of those that matter! I know after years of breaking every promise I’ve made words are cheap!! I don’t want to be remembered as the man I was! I want my legacy to be something to be proud of!! I have a 2 year old Grandson that I intend to spoil! I enjoy writing poetry and have a poem that I will be posting the next time I write. Someone asked me once if I thought 25,550 was a large amount, I thought he spoke of money, I considered it to be a nice amount!! I imagined instantly of all the things I could do with that!! I was at a loss for words when he told me that was how many days we get on this earth IF we live to be 70!! CRAZY, huh? I again thank you for taking your time to read this. Stay strong in this struggle we all call life!! !